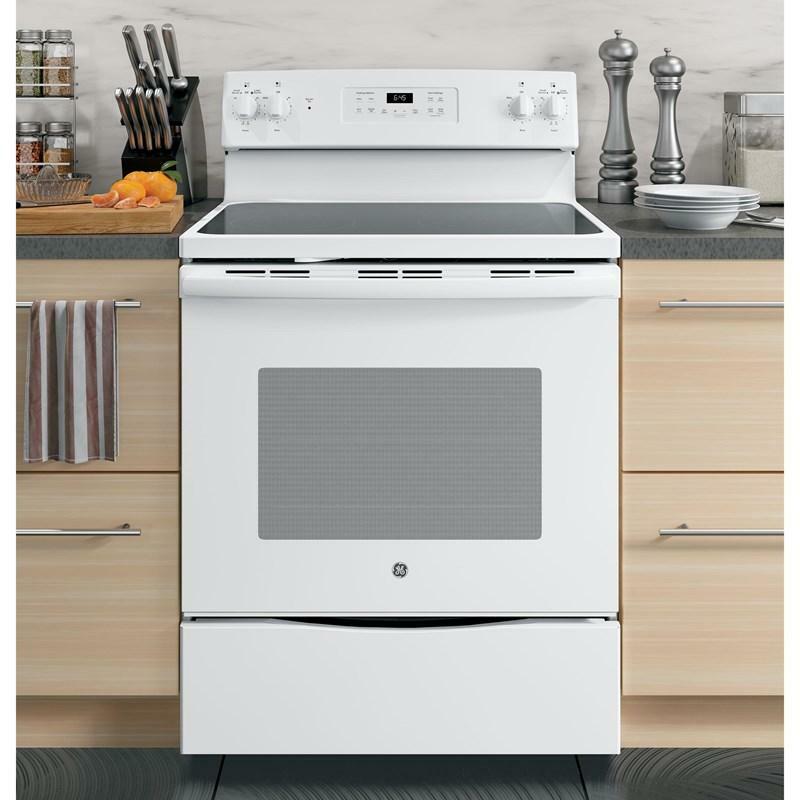 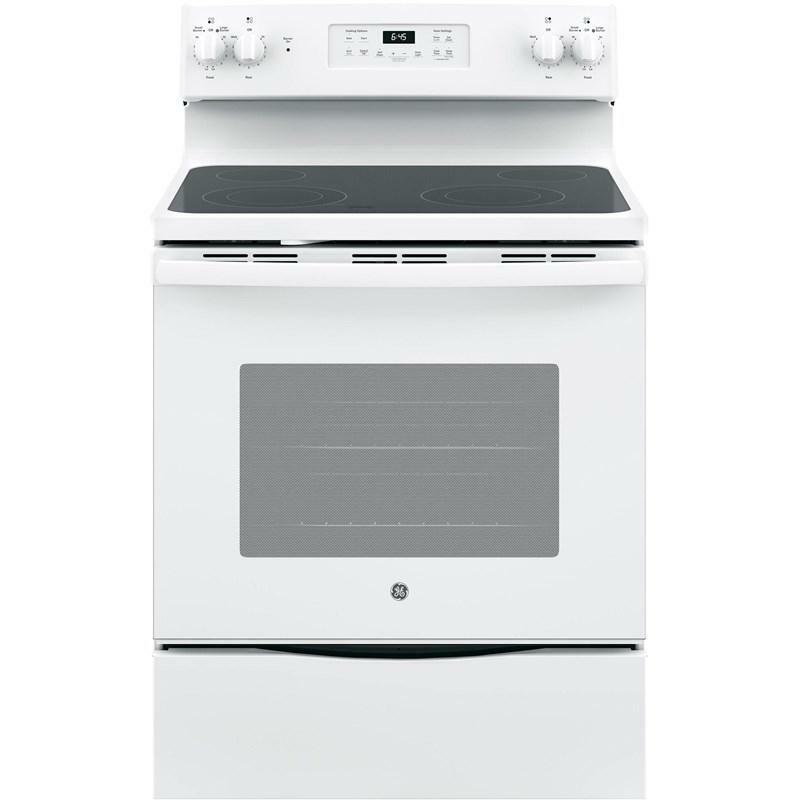 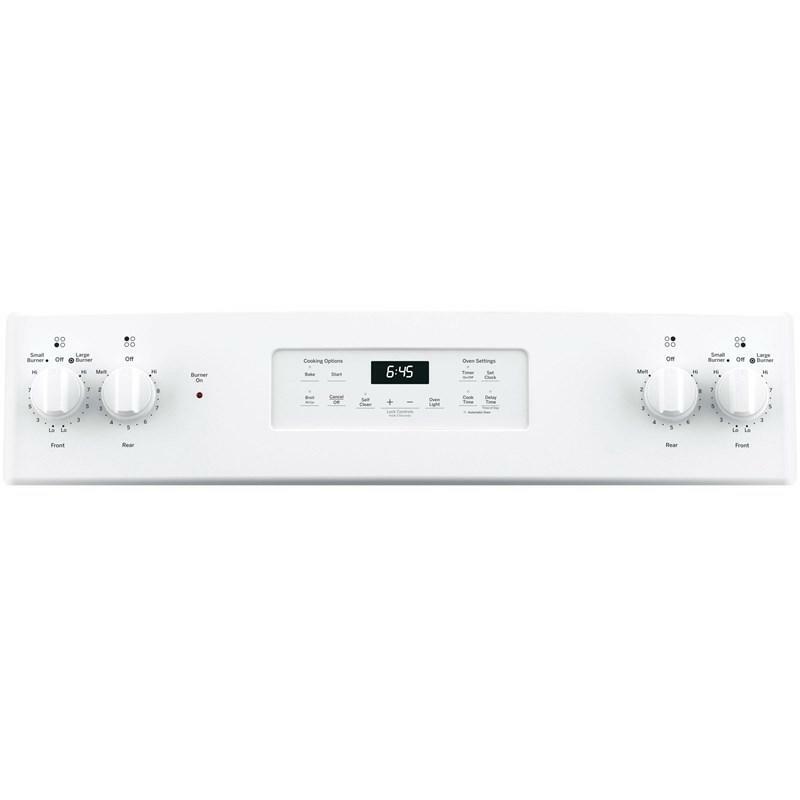 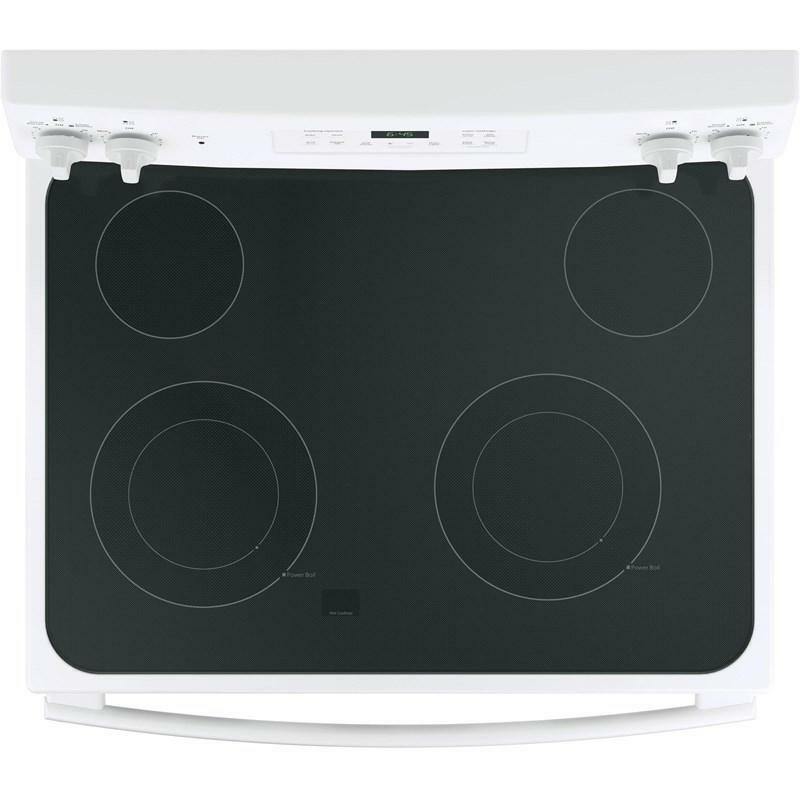 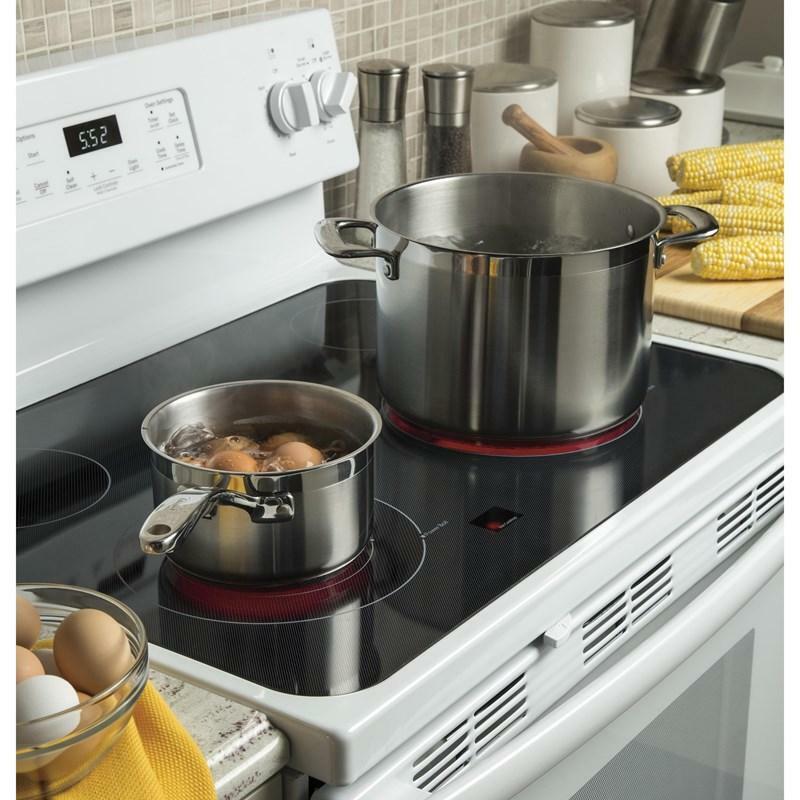 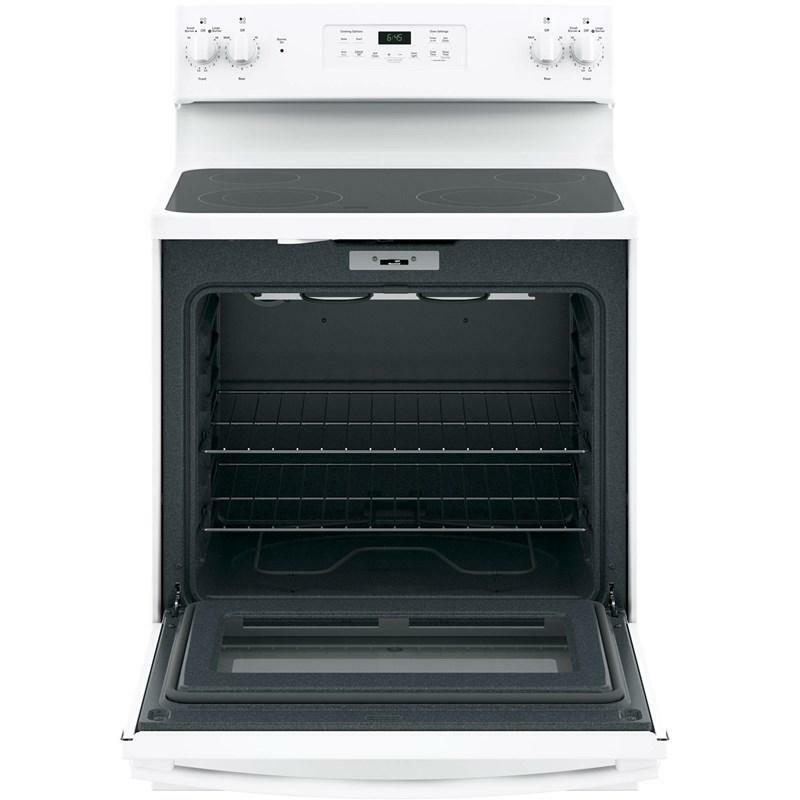 This 30-inch GE® free-standing electric range features a 5.3 cu.ft. 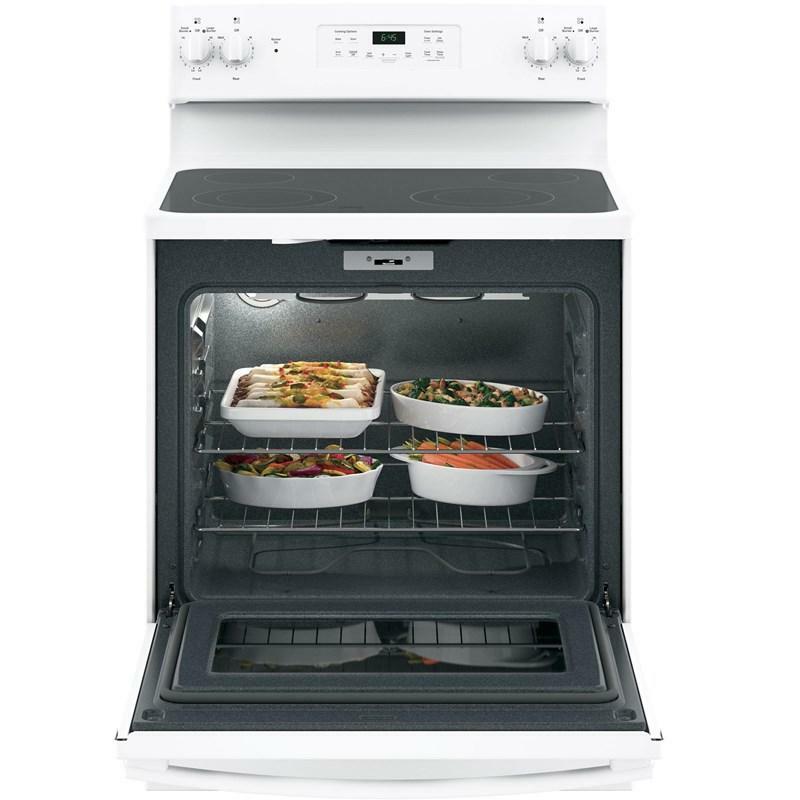 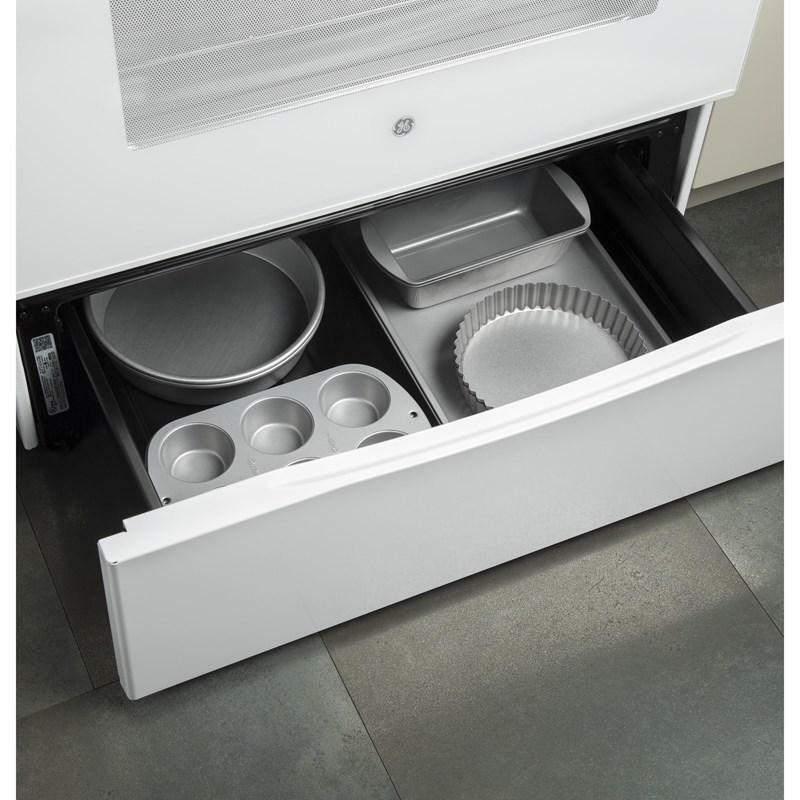 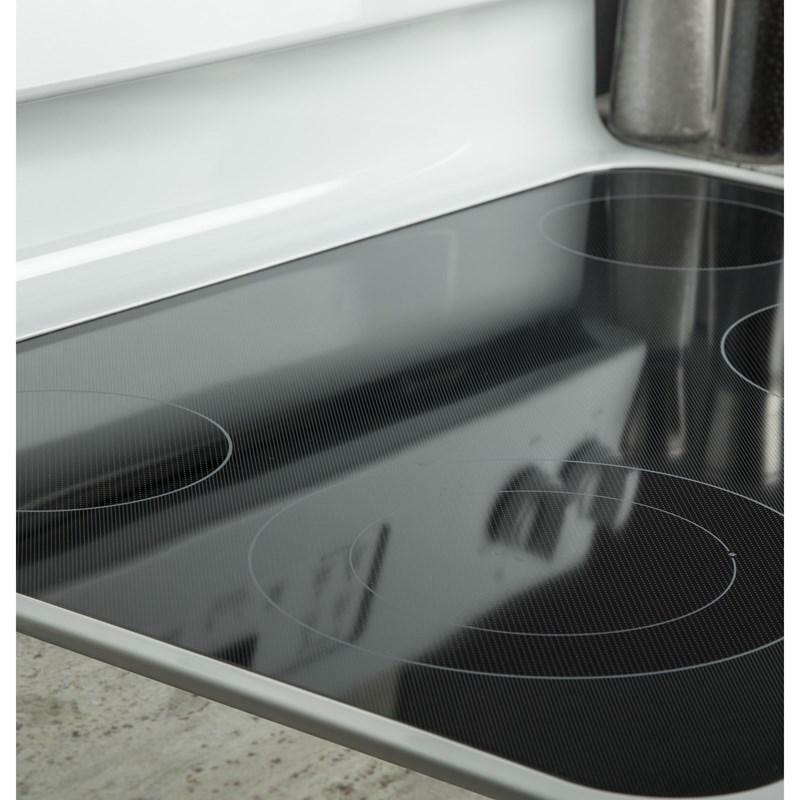 oven capacity, self-clean oven, dual-element bake and 4 cooktop elements. 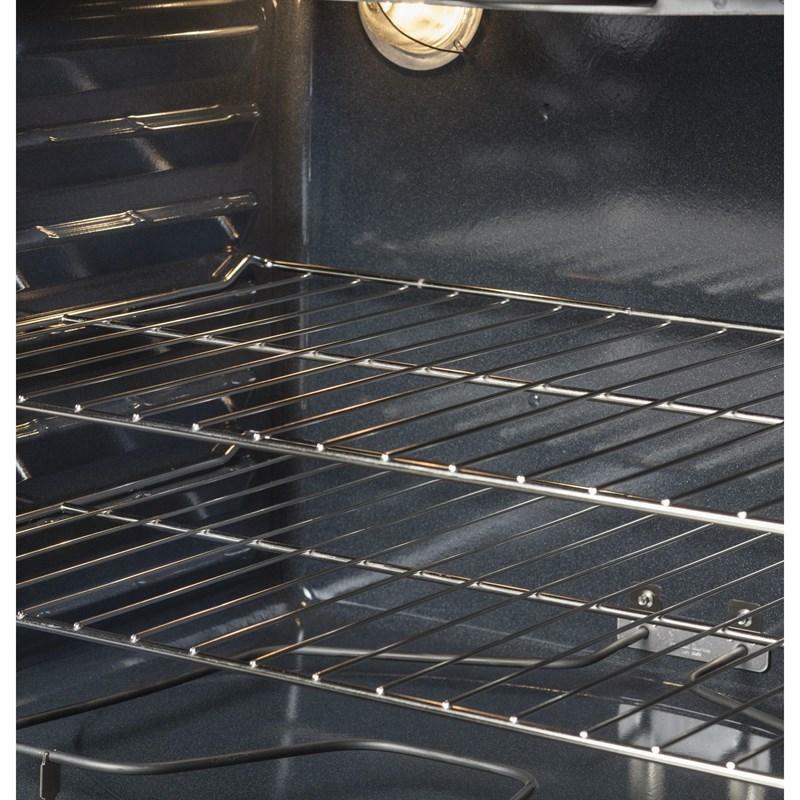 Burner/Element Size • Left Front: 9"/6"